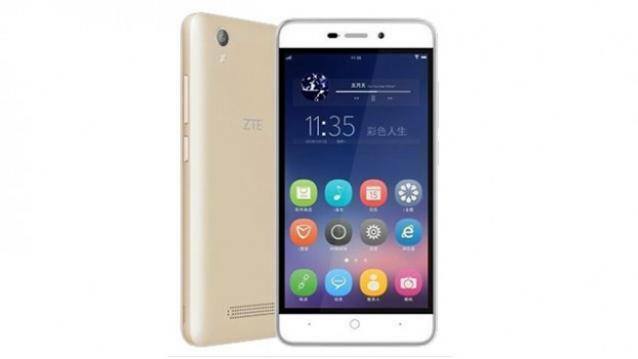 The Chinese company ZTE launched its new smartphone ZTE Q519T to the Chinese market at a price of $95 which will be approximately Rs.6,000. But the company didn’t mentioned about the launch in Indian Market Yet. The remarkable feature of ZTE Q519T is that, it is provided with a 4000mAh, which is claimed to deliver up to 35 days of standby time and also the phone will be available in Blue, Gold, and White colours. In the case of specifications the phone comes with a dual SIM support and it is provided with a 5 Inch HD display of 720x1280px resolution. The phone runs on Android 5.0 Lollipop and its powered by a 1GHz quad-core MediaTek processor with 1GB of RAM. It comes with 8GB of inbuilt storage, which is expandable up to 32GB. It features a 5MP rear camera with LED flash, while there is a secondary 2MP front-facing camera. On the connectivity front, it offers 3G, GPRS/EDGE, Wi-Fi 802.11 b/g/n, Micro-USB, LTE, and Bluetooth options.